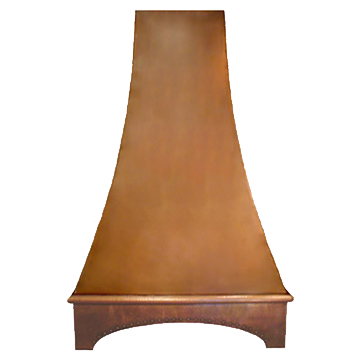 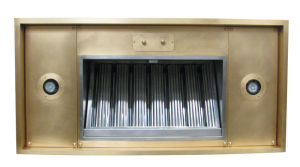 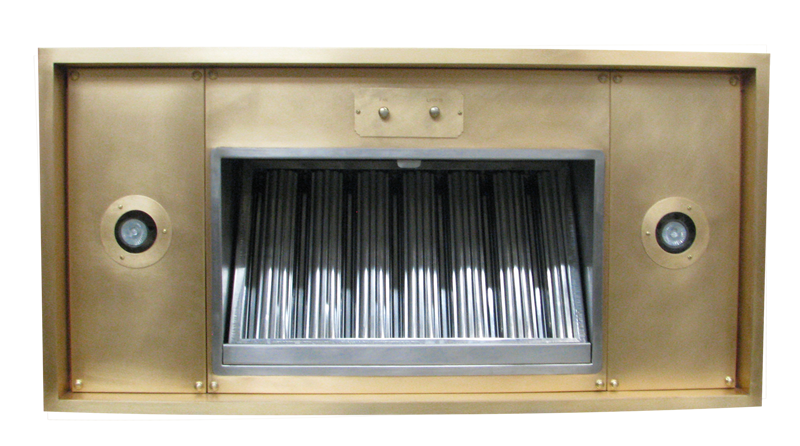 Description: This range hood features an elongated body with dramatic concave curves. 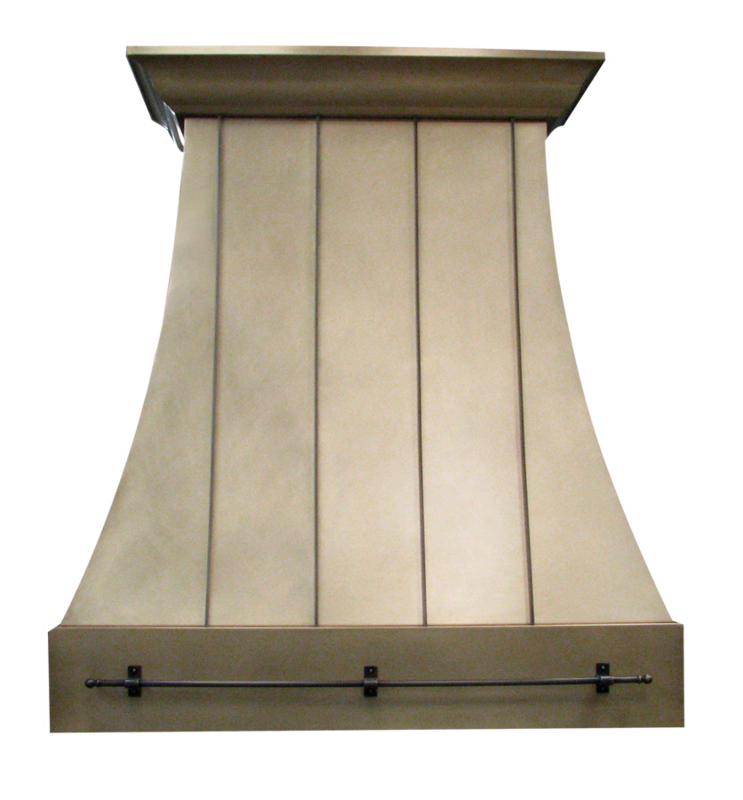 Shown here in Medium Copper with a hammered arched border edged with decorative rivets and a bull nose. 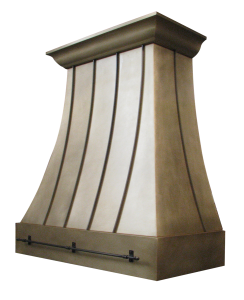 Description: This range hood features the same elongated body with dramatic concave curves, accented with standing seams. 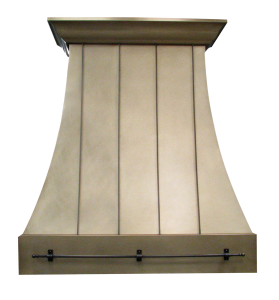 Shown here in Dark Copper with an accessory pot rail. 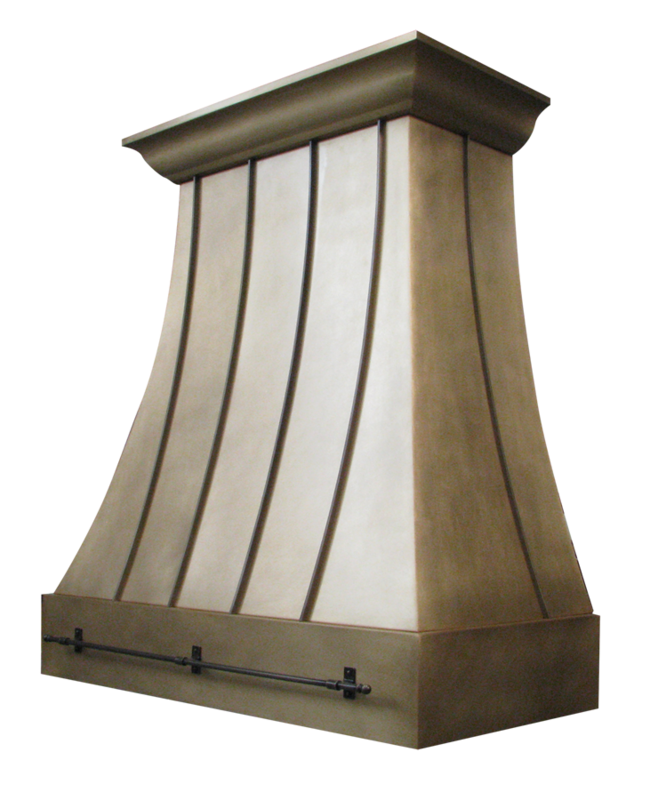 Description: A stunning example of this hood in Burnished Bronze, with standing seams in Medium Brass and an elegant bell curve crown. 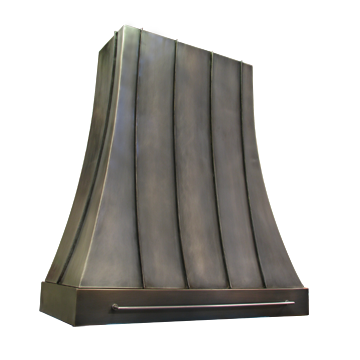 Range Hood 20 This range hood features concave curves and elegant chamfered corners.